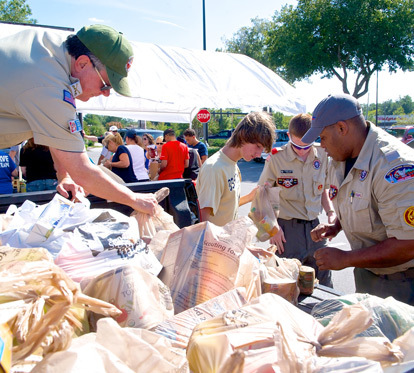 On Saturday, November 10, 2018, Central Florida Boy Scouts of America will once again be collecting food for our hungry neighbors. Last year, our community helped provide over 96,000 pounds of food for our neighbors in need. It's so easy to help! Just place non-perishable food items on your doorstep by 8am. Scouts will be in your area between 8am - noon. Your support is greatly appreciated. Check back for a listing of drop off locations and more info about Scouting for Food.